You may order books directly from Donald at the address on the Contact Page or click on book cover to order. 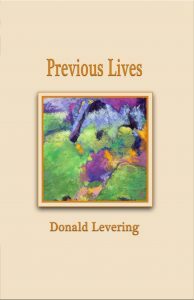 Previous Lives, Red Mountain Press, $19.95 Previous Lives: New and Selected Early Poems cherry-picks poems from this widely-published poet’s 40 year career. 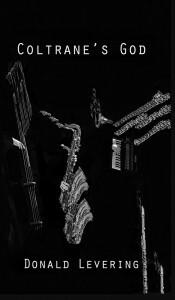 Arranged to flow thematically rather than chronologically, selections from his first 8 books are interspersed with previously uncollected poems in 97 pages. The book showcases Levering’s broad stylistic range. Free-verse partners with pantoum, ghazal, and blank verse. Tight, imagist gems nest beside Whitmanesque declamatory odes. The title is at play where the speaker portrays various lives: a snow-plow driver, a highway surveyor, a man who steals subway trains, a prisoner in a Borges story, a stroke-afflicted astrologer, a Navajo healer, a kachina doll salesman. Humorous paeans to Roethke, Bly, and Freud lend levity to a text that witnesses estrangement and war. Ravens, plants, and fungi are also featured in this former groundskeeper’s retrospective. 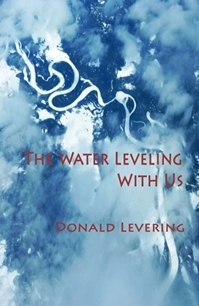 The Water Leveling With Us, Red Mountain Press, 2014, ($17.95) The Water Leveling With Us – Donald Levering’s 12th poetry book, The Water Leveling With Us, witnesses critical dramas of our era. The impacts of climate change, militarization, and consumerism are viewed through individual experience. The poems spotlight moral dilemmas, such as the woman haunted by the foxes she raises for fur. 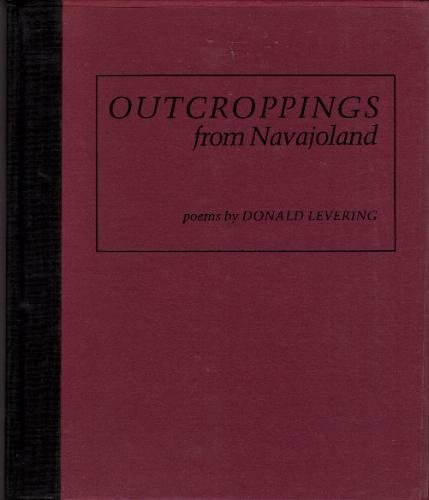 Moments of redemption through nature offer relief; there is the prison camp escapee who gains solace among frog song, or the man who flies an ultralight to teach orphaned whooping cranes “what they didn’t know they knew.” As always, Levering’s language is rich with rhythm and assonance. 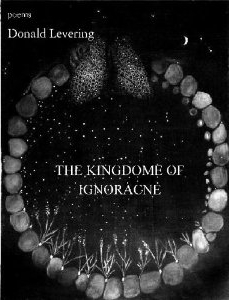 Several of the poems have been published in journals such as The Alembic, The Drunken Boat, Hunger Mountain, Iron Horse, Poets For Living Waters, and Stirring.Donald Levering takes us from ocean bottom to outer space, and from the jungles of Costa Rica to Arctic regions to the Andean heights of Chile, observing all the while the ways in which the earth’s surface and its creatures labor to survive. 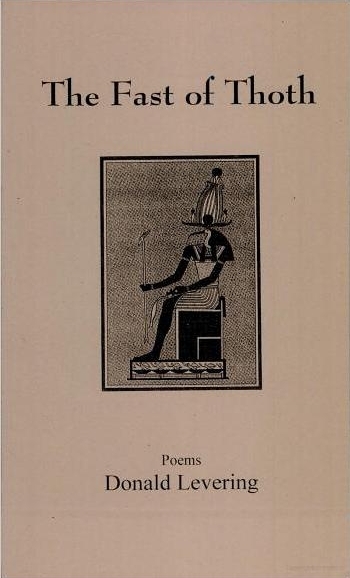 These poems are never didactic; rather, they are restrained and beautifully rendered. They evoke over and above the vulnerability man has imposed on nature, the vulnerability of man himself as he shares with them the shadow of extinction. Elegiac and observant, these poems illuminate the connections that inform our lives. —Leslie Ullman, winner of the Yale Series of Younger Poets Award and the Iowa Poetry Prize. 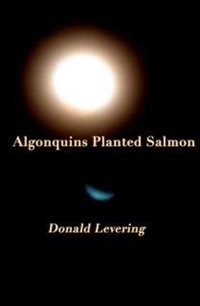 Algonquins Planted Salmon Red Mountain Press, 2012, ($16.95) Algonquins Planted Salmon – Donald Levering’s 11th poetry book, Algonquins Planted Salmon, makes myths into poems of wonder and warning. It celebrates dancing cranes, flitting moths, and falling stars. It likewise decries river damming, coal mining, and monstrous poisonings, such as at Fukushima and the sonic onslaught on dolphins. It is a book in which, “Nature is making her last stand,” being paved over “to make way/for the passing of humans.” It closes with elemental odes offering succor: a night train from the ice ages, juncos whose feet “tap out the secret of flight,” gravity as circus master, an apostrophe to the wind. 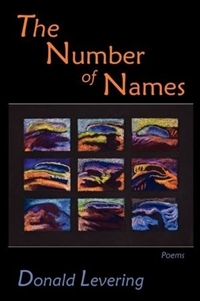 The majority of the 41 poems have been published in journals, such as Hiram Poetry Review, Oyez Review, Quiddity, and Water-Stone. 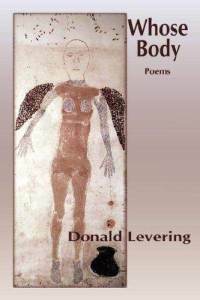 While the free-verse voices and styles of the poem vary, there is a unified sensibility and focus on the place of humans within an evolving creation.Levering is original. He interprets ordinary situations with unexpected twists. Each poem is a mystery with clues and a final revelation.—Kansas City StarWhen I read his poems it’s as if I’m in a world outside of time, looking at daily life from a new perspective in which everything becomes symbolic.—Victor Contoski, author of Astronomers, Madonnas, and Prophecies; Homecoming; and Broken Treaties.The metamorphic poems in Donald Levering’s new book take us on a remarkable set of adventures.—Charles Goodrich, featured poet on Garrison Keillor’s A Writer’s Almanac, author of Going to Seed, and Spring Creek Project Director. In this collection about us and the whole, Levering makes possible a perception of human days on Earth not separated from creation itself.—Susan Clare, Director and Editor of Together Yes. Sweeping the Skylight – In Sweeping the Skylight, the brilliant poems of Donald Levering capture and release the fermentation of time, and the light from below.” —Richard Louv, author of The Nature Principle and Last Child in the Woods, and recipient of the Audubon Medal.“Sweeping the Skylight elevates the inner workings of the domestic‒clothesline, cellar, microwave‒to their near-mythic roots: fire-smudged caves, calls of hump-backed whales, cathedral chants. And when the house falters as a marriage dissolves, Levering’s poems evoke a loss of relative magnitude. This collection is necessary and urgent, like “a ventilator/like a prayer.” —Valerie Martínez, Levis Poetry Prize Winner, author of Each and Her, And They Called It Horizon, and Santa Fe Poet Laureate.These poems are not like the brain-stem fantasies (video games, graphic novels, etc.) magic-lanterned on LCD screens that transfix the great unwashed: they are the real thing. 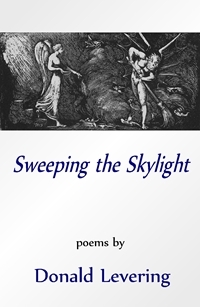 Donald Levering’s Sweeping the Skylight, as that apt title suggests, brings a fuller light onto the ordinary world, defamiliarizes it, freshens the reader’s sense of it‒deals revealingly, as the epigraph from Richard Wilbur for the poem “Insulation” capsules the topic, with “the buried strangeness / Which nourishes the known.” Here a confident, mature poetic voice shares the unexpected and memorable significances that can be discovered in daily‒even domestic‒life.” —Michael L. Johnson, author of Sky Land: A Southwestern Cycle.